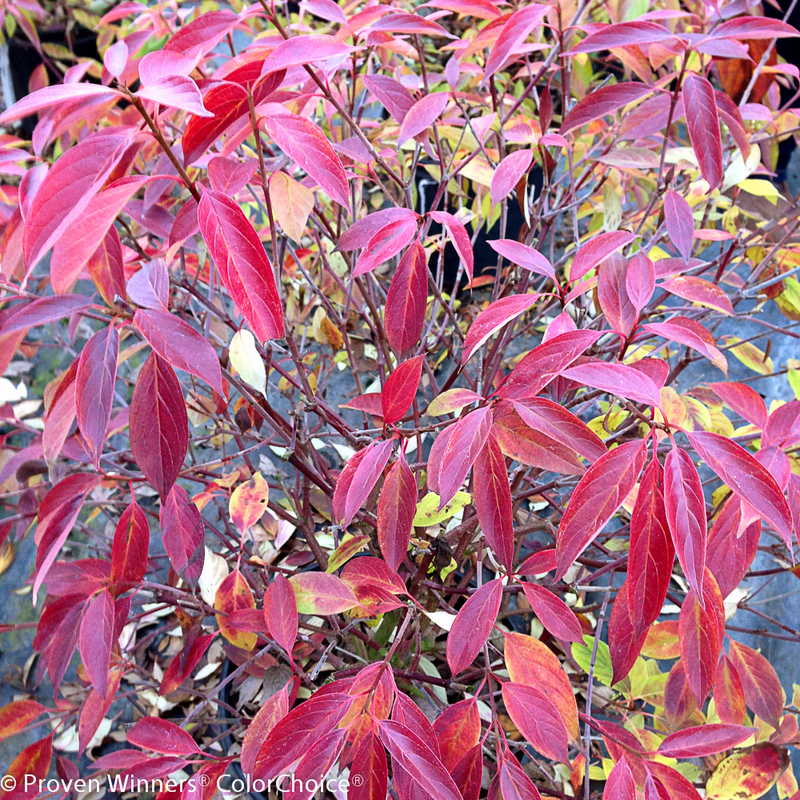 "Weigela florida 'Bokraspiwi' Spilled Wine has dark red, waxy leaves and a spreadinbg habit. 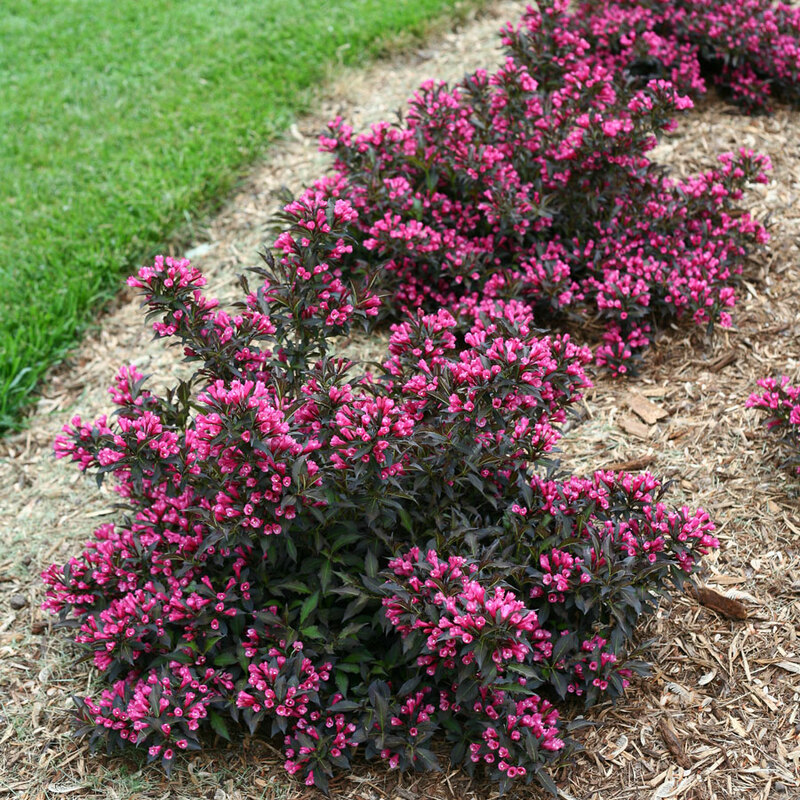 Its hot-pink-magenta flowers are similer to Wine & Roses weigela, but this is a smaller plant that is wider than it is tall, Perfect for edging or filling in spaces in a sunny border"
Zone 4, 2-3' tall and 3' wide, spring bloom, deer resistant - could it be a sub for 'Concorde' barberry? Buddleia 'Miss Molly' - The reddest buddleia - a really beautiful jewel-tone color for when you get sick and tired of purple - stands out in the garden. 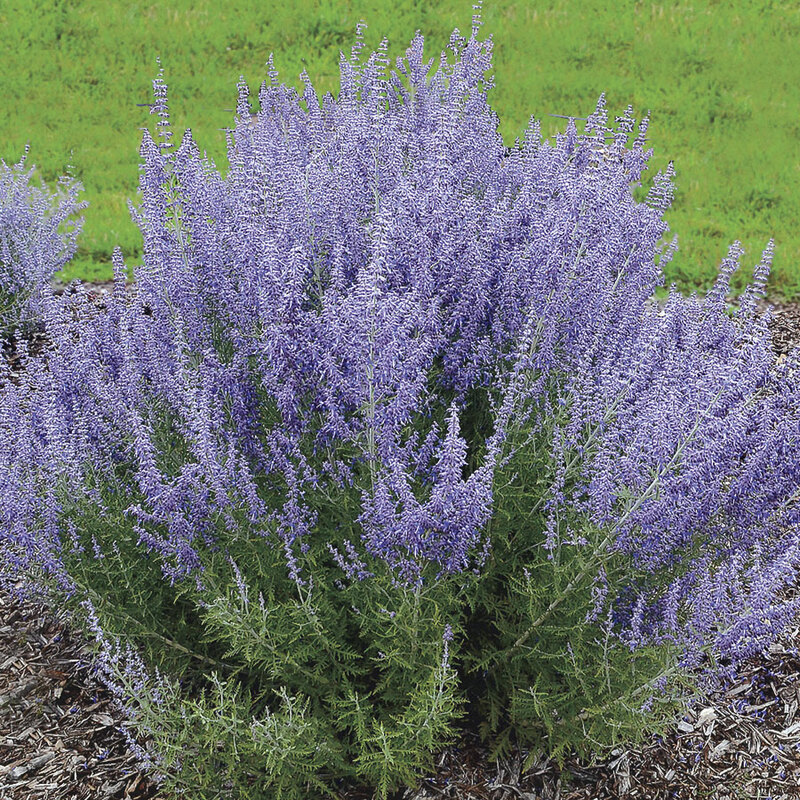 It's a "compact form" (4-5 ft) and is an interspecific hybrid that is non-invasive. Now that buddleias are better-behaved (not so gigantic and weedy-looking) and non-invasive, I'm using them a lot again. Callicarpa 'Purple Pearls': saw it, loved it, instantly bought it, installed it. Deer walked by and didn't eat it. That's the first good sign. Its another inter-specific hybrid, with the nice dark eggplant-ish foliage of one parent and the pink flowers of the other. 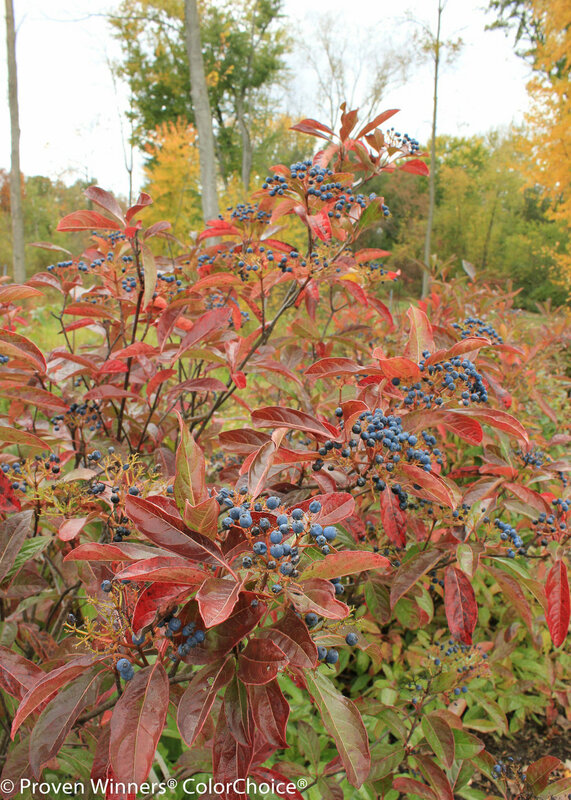 Lots of big berries in fall. Also and upright habit. For my money, you can't go wrong! 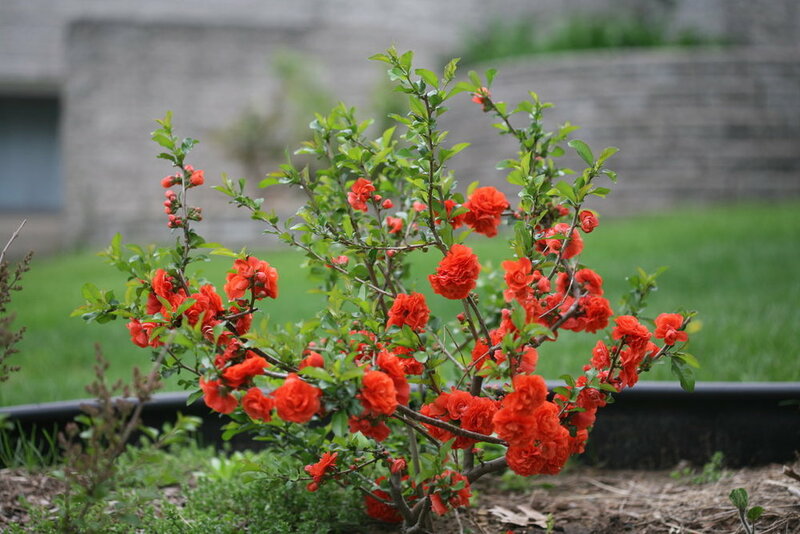 Chaenomeles 'Double Take Orange' - same thing - saw it just at the end of its flowering, instantly bought it, installed it, deer walk right on by. Flowers are quite a bit more noticeable than the non-double-flowered forms, but the shrub still has a quirky yet interesting habit. Plant along the top of a wall where the flowers can be at or above eye level. You will eventually have to prune it (grows 4-5 ft tall)- try to wait until late winter so that you can bring the trimmings inside and force them. No thorns; no fruit. Don't move away from the non-double chaenomeles completely, though, because the fruit is unexpected, pretty, and you can bring them inside to act as natural air fresheners instead of buying expensive quince candles! 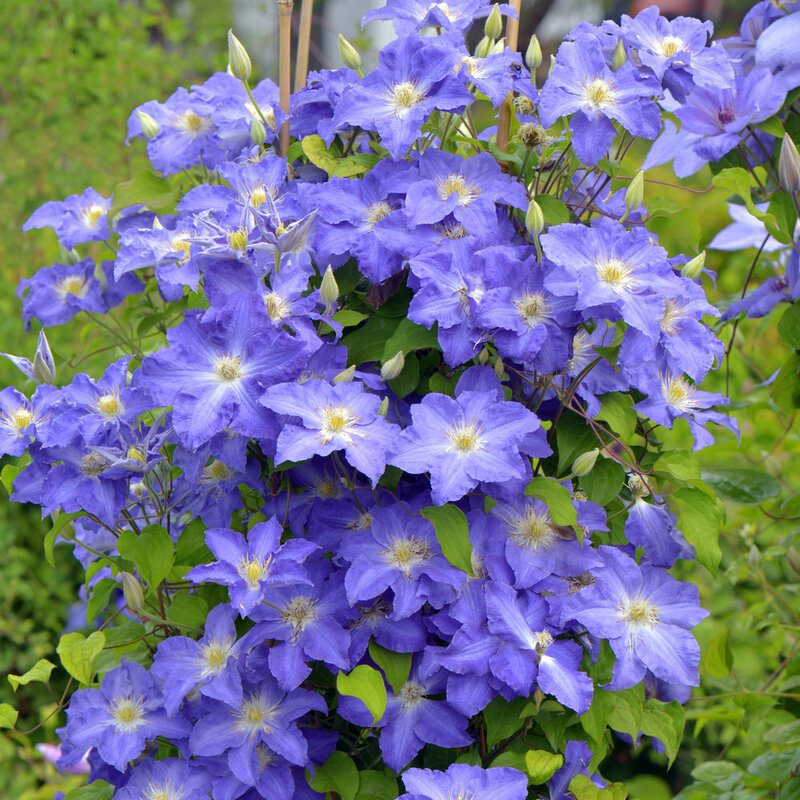 Clematis - PLANT MORE of them! What can I say, but that they give you bang for buck. They're really not hard to grow after all, at least not some of the newer varieties (as well as some of the good old tried-and-true ones). 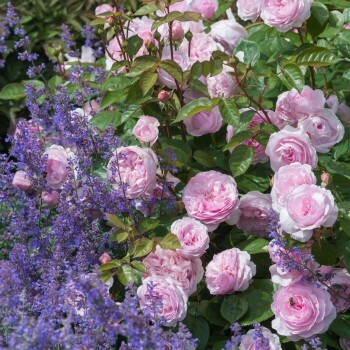 These Proven Winner ones have been selected for vigor, disease-resistance and flower power. Try 'Sweet Summer Love' and 'Brother Stefan'. 'Brother Stefan' is one of the of the ones developed in Poland - it is a late spring bloomer (old wood) with sporadic rebloom later on new wood. The flowers are "true blue" - unusual, as we know, in the plant kingdom and therefore eye-catching. 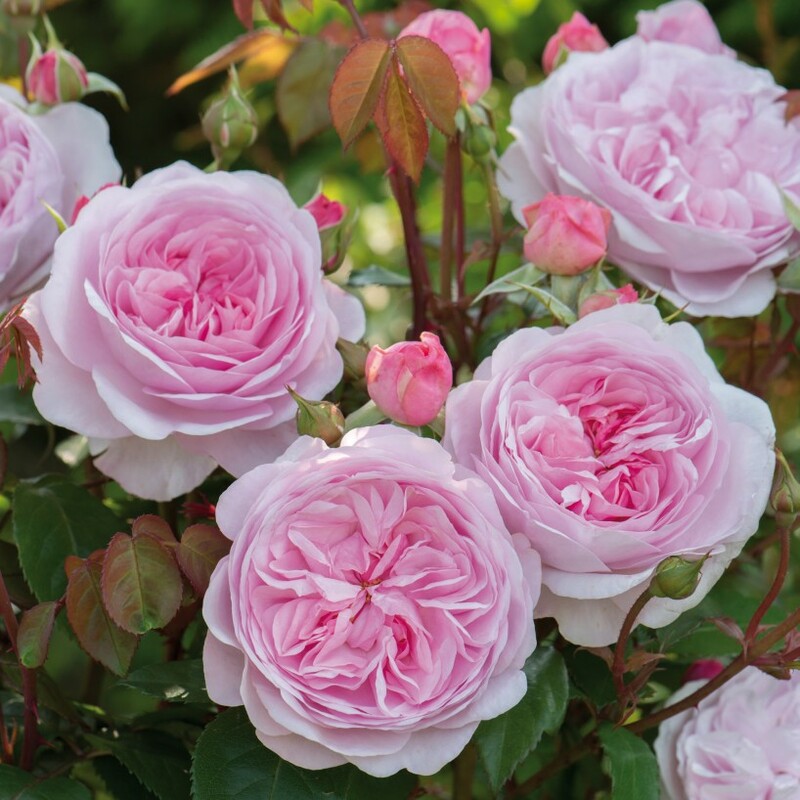 'Sweet Summer Love' is another cultivar from Poland that flowers late in the season on new wood - meaning that it can be cut back hard evey spring. The small but prolific flowers are cranberry-violet colored and fragrant. Plant and go. Not particularly deer-resistant but not one of their favorite foods either. Cornus obliqua 'Powell Gardens' Red Rover (Silky dogwood) - I haven't seen this one around anywhere yet, but if I do I will definitely try it. 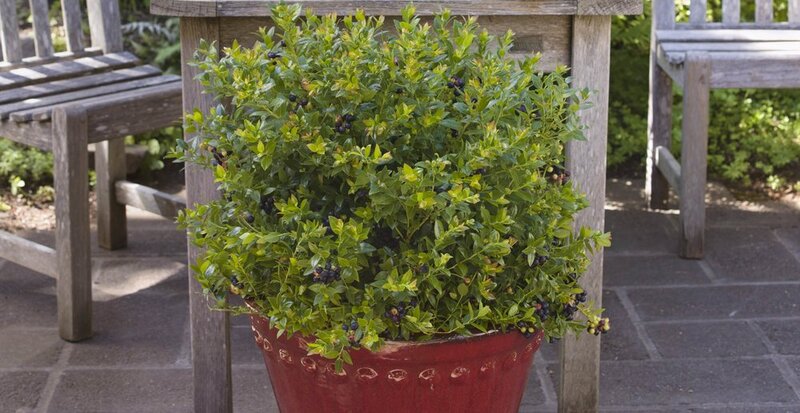 Its native, and is proported to have a compact habit, purple-to-red fall foliage color and showy blue fruit. Also red stems in winter. What's not to look - it's a great selection for moist sites and a pollinator resource and sounds far less blah than "regular" silky dogwood. Heptacodium miconoides 'Temple of Bloom'. 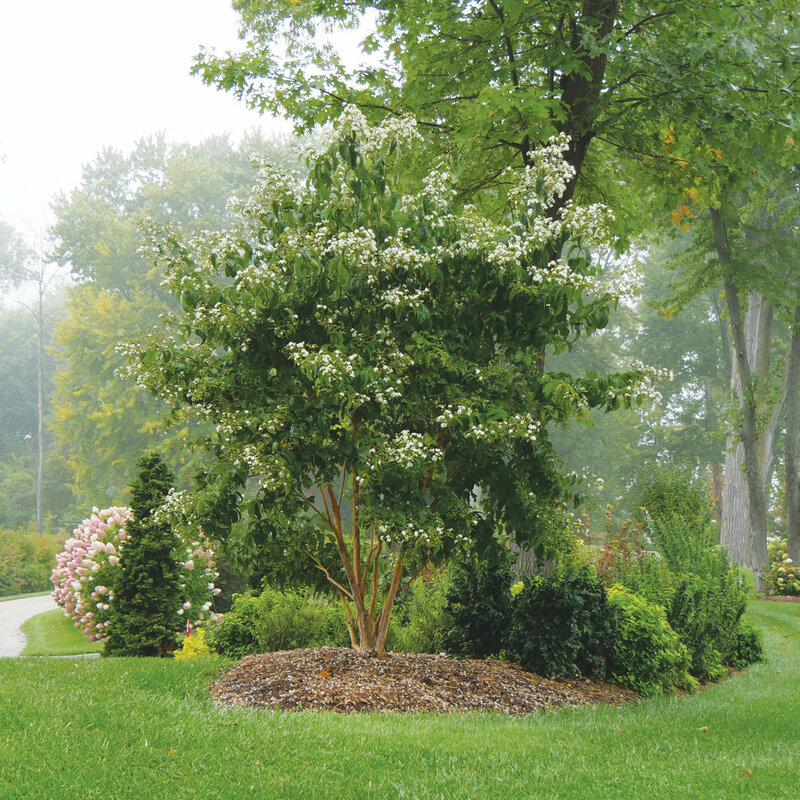 I am a HUGE fan of Heptacodium and would like to plant one at each job just like Lagerstromia. Unfortunately, they're not so easy to find as young trees, also because they are very gangly and some would say almost ugly as young trees. I think they have personality and don't mind some asymmetry. But they do have to be pruned as they grow to have a nice shae (or you can buy them bigger of course, so that they've already been trained). 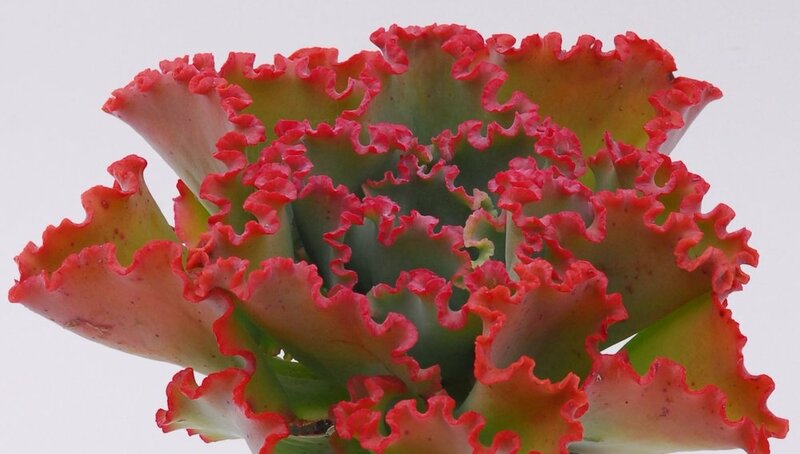 This new variety from Proven Winners is described as being a compact cultivar with extra-large flowers and extra-red bracts - an improvement over the species that begins to flower earlier as well, for a longer blooming season. If nothing else, it will be containerized and have some sort of decent-looking habit if its going to be sold in that coveted white pot. Hydrangea paniculata 'Bobo' - buy it immediately if you see it! 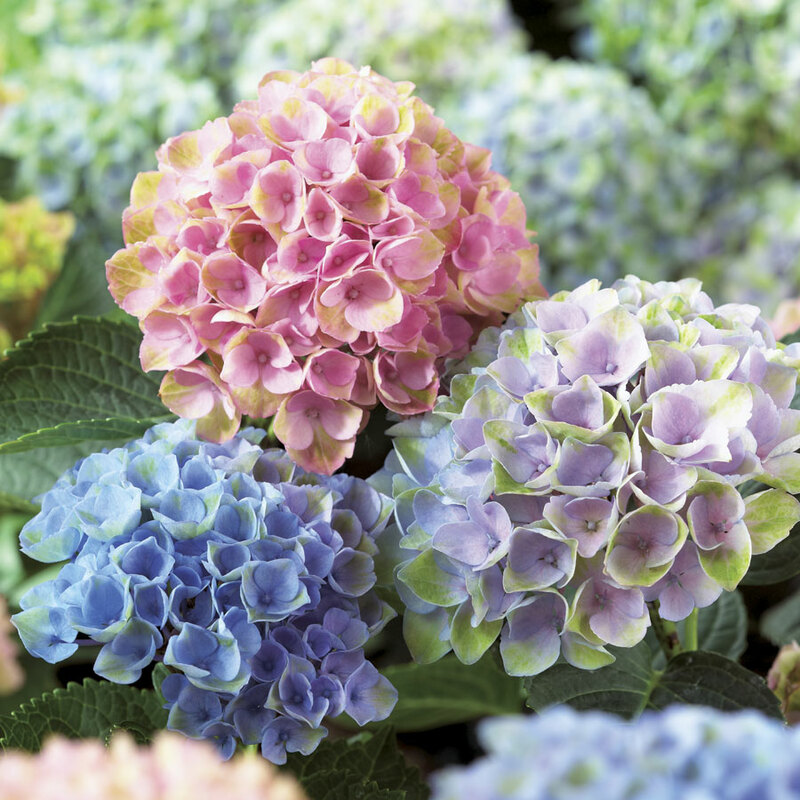 Its a dwarf PG hydrangea with white flowers that are more round than conical and held upright, giving the overall visual of the shrub being totally engulfed in flowers. No flopping, starts blooming earlier than some PGs and is "plain" - i.e. no half-pink-half-white, just a calm fade to pink, surprisingly quite a different "look" than 'Limelight' or 'Little Lime'. Hydrangea paniculata 'Little Quick Fire' - same bloom time as 'Quick Fire' but only about a third the size. 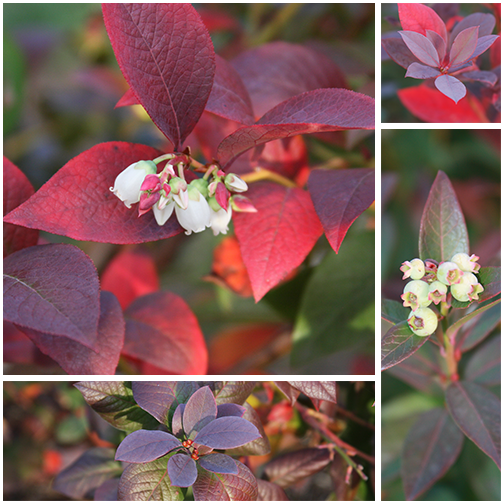 The flowers transition from white to burgundy-red fairly quickly, which I like, and the plant has a beautiful and somewhat unusual orange fall foliage color. Several of my clients have thought that 'Quick Fire' is the "best" PG hydrangea, so though I haven't seen 'Little Quick Fire' in bloom yet, I'm looking forward to installing it. Itea virginica 'Scentlandia' - I haven't seen this one yet either. But its billed as a "game changer" because it is the most fragrant Itea ever, has superior bud hardiness, still has great fall color and has a compact habit like 'Little Henry'. Definitely one of my favorite natives. Itea is described as being deer-resistant, but I think sometimes they munch it a little bit. In my experience with 'Little Henry' I've noticed that the flowering has been a little uneven - maybe this new cultivar will help solve that problem which I had previously thought was due to deer browse not lack of bud hardiness. The fall color, though, is definitely worth the price of admission! Parthenocissus quinquefolia 'Red Wall'. I've seen the nightmare of having an ivy-covered stucco façade, where the only solution is to rip off the ivy and re-stucco the house. But some houses just look so nice with vines growing on them! Enter, Virginia creeper. It is much less damaging to the house, and of course turns a beautiful fall color. Its native, has berries and I think could be beautiful even on a chain-link fence if not a house. But, beware, it is a strong grower and will jump over onto trees in a heartbeat! Viburnum nudum 'Bulk' Brandywine - has the most beautiful berry display in the world of viburnums - green to ivory to pink and blue. 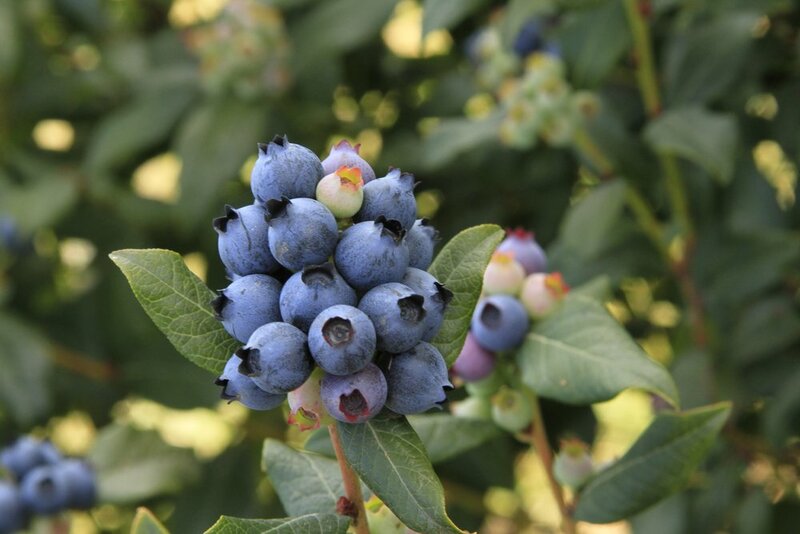 'Brandywine' sets fruit without a pollinator, so in that sense a wiser choice then 'Winterthur' (which has been one of my all-time favorites). 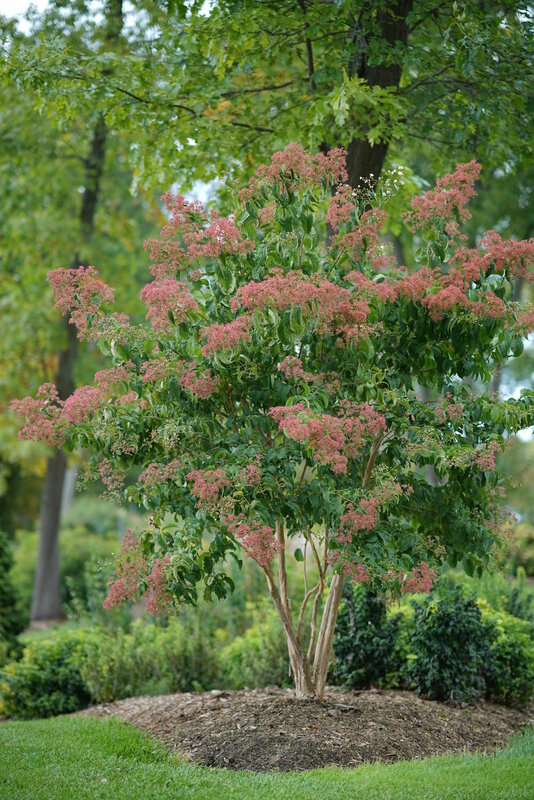 It has the same symmetrical habit, those same glossy leaves and maroon-red fall color as 'Winterthur', though. 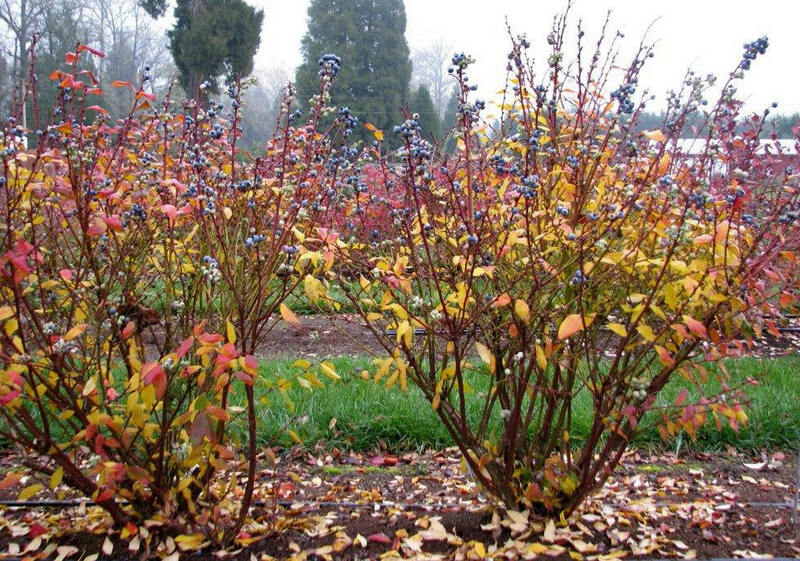 If you add 'Brandywine' to an existing planting with 'Winterthur' in it, you'll find them both setting lots of berries. 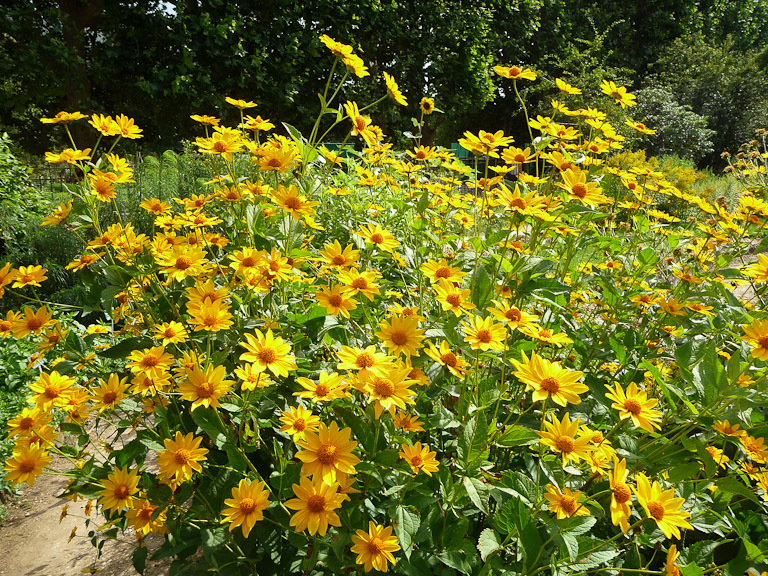 But V. nudum has "stinky flowers" - so put it in the second layer or in the hedgerow.